Bruxism Can Be a Real Grind! Do you wake up in the morning with a sore jaw? Do your teeth look worn down? You might have a condition known as bruxism — and you might not even realize it. Bruxism, or chronic teeth grinding and jaw clenching, typically occurs at night during sleep and often is a symptom of stress and anxiety. If left untreated, bruxism can significantly weaken your teeth, cause tooth sensitivity, and make them more susceptible to decay. 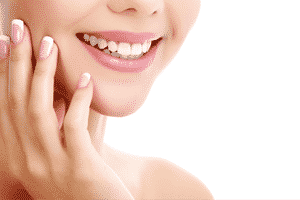 Bruxism also can throw off your jaw alignment, and may lead to TMJ disorder. If you have bruxism, your Miller Beach dentist, Dr. Nicholas Cain, can help by fitting you with a custom mouthguard that you will wear at night to prevent tooth grinding and clenching. Difficulty fully opening or closing your mouth. Popping or clicking sensations in your jaw when talking or eating. Chronic earaches, headaches, or shoulder pain. Similar to the treatment for bruxism, the key to treating TMJ disorder is a custom mouthpiece that will gradually reposition your jaw. Many patients experience symptom relief in a few short months. During your routine exam, Dr. Cain will screen you for TMJ disorder and bruxism. Often, dental insurance will reimburse patients for the cost of the appliances needed to treat these disorders. Our finance staff will be happy to research your insurance coverage for you and file on your behalf. To schedule an appointment, contact Healthy Smiles in Gary, IN, by calling 219-938-2637, or by emailing our office at info@healthysmilesnwi.com. We also proudly serve the residents of Gary, Miller, Miller Beach, and all surrounding communities.